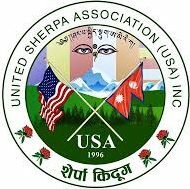 Our Plan – UNITED SHERPA ASSOCIATION (USA), INC.
We have plan of upgrading the capacity of the current community center to provide better service to the rapidly growing population of the immigrant communities in the New York and surrounding area. The upgraded facility located at a very convenient place will benefit more than 100,000 immigrants living in the region annually. The community standing in a unique architecture will be an attractions in the area. The center will be available for any community events, cultural functions and services, seminar and workshops, and meditation for senior citizens. We will be developing the community center as a himalayan community resource center. The resource center will consists of a himalayan community library, cultural section, and seminar place. All the himalayan communities will be benefited from the resource center in particular and will be a information center for other people. The association has a plan in place to create online databank, documentation, and publication on history, culture, language, and socio-economic aspects of the Sherpa community. The plan includes documentation of all the available print, audio-visual materials. The association has a long term plan of establishing a himalayan village in a suitable location in upstate New York. The concept of establishing the village will have a multi dimensional impact not only in preservation and promotion of indigenous communities’ cultural heritage, but also to establish united and prosperous immigrant communities. Based on this future plan, we are in the process of owning land site in a suitable location. The site will be a public gathering place to celebrate festivals and functions, summer camping area for younger generation, and a place for meditation and recreation for senior citizens. In addition to its regular programs, the association is looking for resources and opportunities to extend the educational support program.